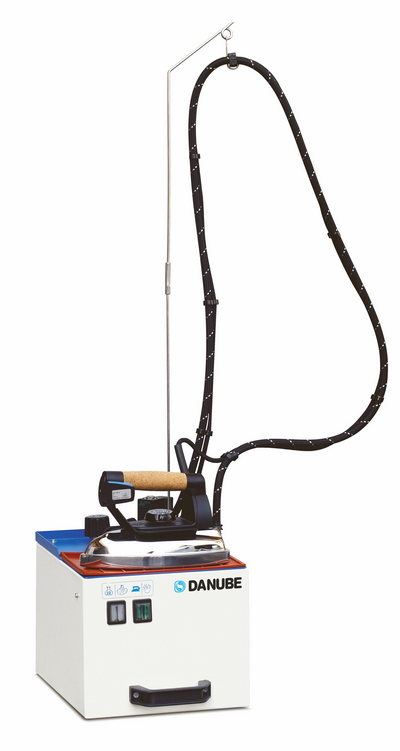 Electric steam boiler GV-2 with steam iron. Small, thermically insulated, electric steam boiler. Die-cast aluminium boiler, capacity 1,8 lit, heater 1 kw. Manually operated water feeding (drinking water required for its functioning). Automatic pressure control by thermostat with fixed setting. Stainless steel electric steam boiler GV-5, with electric steam iron. Boiler capacity 5 lt, heater 1,45 kw. Water level indicator with warning light for empty boiler. Three safety devices fitted on the boiler: pressure switch, safety valve and safety thermostat. 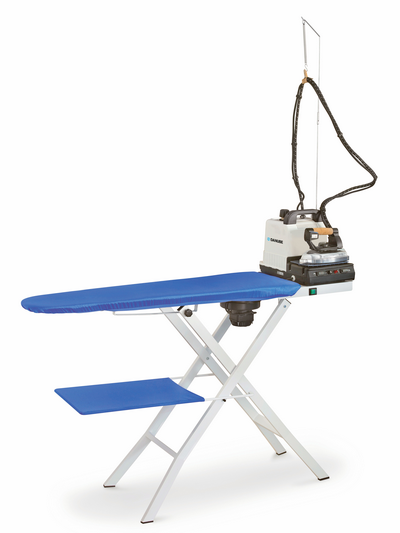 Folding ironing table TFP, with electrically heated board and built in suction unit.